Real Stories! Amazing Adventures! 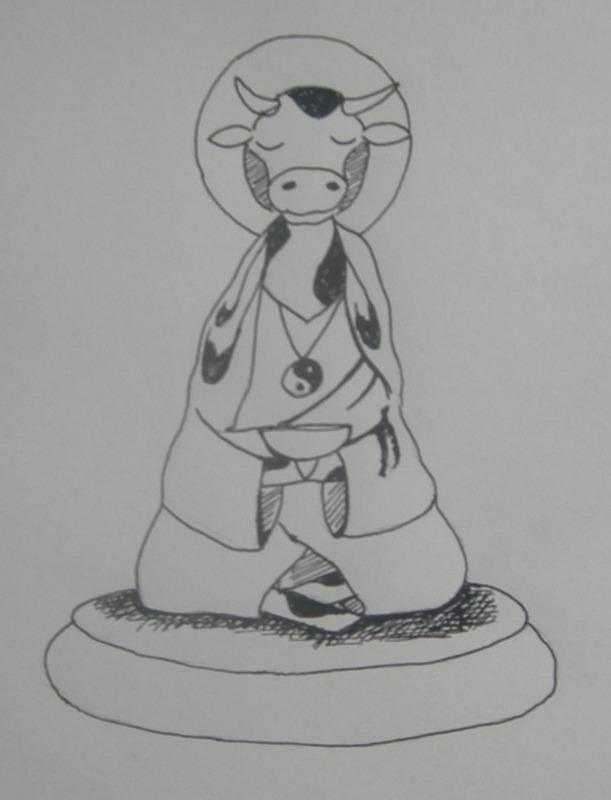 : Can a cow meditate? Funny how things circulate. I did that little sketch last year and since then have done many many more cows. 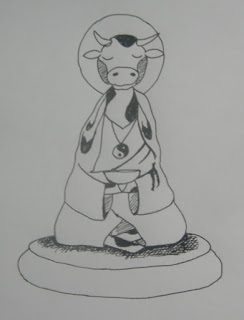 In fact, I just posted a new article on my blog this morning and used that same image of the meditating cow. I thought I'd share it with you. BTW if you do read the article I'm not sure if it answers the question whether cows meditate, but it might come close. Cheers! Thanks for sharing. :-) I gotta say, cows make great symbols for life. A cow can do pretty much anything and it would make excellent sense. Awesome drawing dude. Keep on drawing cows.